On Thursday 7th December 2017, a few of our UBC representatives attended the Royal Children’s Hospital Early Child Intervention Centre Christmas party. The relationship between UBC and the RCH ECIC has been fostered over many years with the UBC being an integral part of the purchase of the building from which the Centre operates. 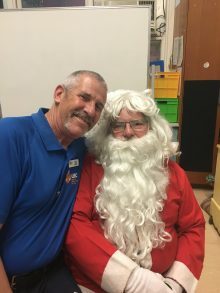 Director of the center, Michele Spreckley, has also appreciated the Club’s participation in their Christmas party, with the Club providing funding for the children’s’ gifts and UBC is humbly proud to be part of this program as one of the many ways we support children’s health in Victoria. 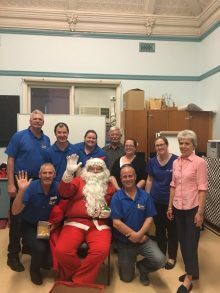 With a magician present to entertain the kids, even Santa took time off his busy schedule to surprise the kids and delight them with presents. Of course, the UBC team and Michele managed to snap a photo with him before he sleighs off. UBC team members at RCH Early Child Intervention Centre Christmas party with the director of the centre, Michele Spreckley.